If you run a business, there is no doubt that you should have a website that lists your services and, if you sell goods, has a space for customers to buy your products online. A great website can not only bring in extra revenue, it can also attract new customers easily. 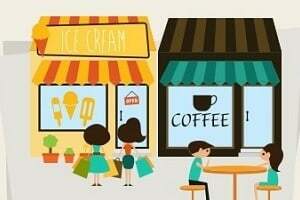 But if you have one, you need to make sure that your brick-and-mortar store is successful as well. Free WiFi is no longer an option — it’s a must-have. In today’s constantly-connected world, people expect to be able to tap into your store’s WiFi network while they are waiting for service or browsing. Make sure that you have a router that can handle the expected amount of traffic. Assume every customer will tap into your network. Also, have the network password displayed somewhere in the store so customers can join easily. Providing free WiFi has many benefits. It can help keep people in your store longer, which translates into more possible sales. People who are shopping alone are more comfortable if they can surf the web for free, so you will also attract customers who may otherwise skip your store. If you are tech savvy, you can even control the webpage that is displayed when customers join your network which offers special in-house deals that are only available to them. If you want customers to spend more time in your store, you need to make sure they are comfortable. Provide comfy seating like couches and loungers that invite people to sit. As with WiFi, this will make them want to linger longer and can help boost your sales. If you play music, make sure that it corresponds your target customers — don’t play heavy metal if you sell products for seniors. Everyone enjoys music and if you can give your target audience what they want, they will be happy to revisit you in the future. Also, make sure that your heating and air condition units are working properly. Nothing is worse for a customer than being too cold or too hot; either one can turn them away sooner than you want. Have your units checked regularly and learn more at Advantage Air. The difference between an online shop and a brick-and-mortar store is the physical experience, so make it a good one. 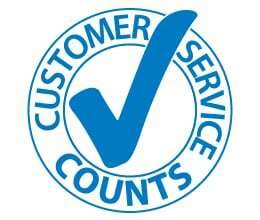 One of the most important things you can do is to provide great customer service. When people walk into your store, they expect to be greeted with a friendly smile. You want your staff to help customers with any questions they have, but you don’t want them to be pushy — too many staff members approaching a customer or following too closely can be off-putting and make the customer leave. Provide your staff with the answers to any questions a customer may have. Customers want the staff to be knowledgeable and helpful, otherwise they could just shop online. Train your staff well and they will be able to provide a great customer experience that will go a long way into bringing your customers back. With the internet, people can research, browse and compare products before they even set foot in your store. This can be a good thing, however, as many people will already know what they want and what they are willing to pay when they arrive. You can use this to your advantage by offering deals that are available in your physical store. Much like the suggestion of special deals on your WiFi network, you can drop prices on certain items so they are cheaper than if a customer bought them online. This gives them incentive to check back every so often. You can also publish coupons that are good for in-store use only. The best part about this is that you can still publish them online (as well as in tradition media such as newspapers and magazines), so you can reach a large number of potential customers who may decide to visit your store. Despite the rise of online stores, it’s still important to have a physical presence so people can visit. Make the most of it and see your sales rise. Natasha Morrison is a brand awareness consultant with a long background working one-on-one with retail stores to boost business. Her articles appear around the web on business sites.